Today: Making drinks en masse is easier than ever with some strategic batching. By this point you may have found yourself spending more time in the kitchen shaking and mixing than you do actually spending time with your guests. In the interest of changing that, consider batching. The principle is easy: Mixing a cocktail is a lot like cooking, and much like any recipe, the recipe for a cocktail can be scaled up or down. Take your basic Manhattan. That recipe might as well read: 2 parts rye, 1 part vermouth, and as many dashes of bitters as ounces of rye (or up to twice that amount, to taste). In fact, this is how many cocktail recipes of the late 19th and early 20th centuries read, as it took quite a while for measurements to standardize from one place to another. What's important is the ratio of the ingredients, not the total amount. Place your cocktail glass on the scale and tare it so the scale reads zero. Work in grams if you can; it’s more precise that way. Next, without adding ice, add one cocktail’s worth of ingredients to the glass and record the weight. Empty the glass into a mixing vessel of your choice and replace the glass on the scale. It should read 0 again. In the mixing glass, add ice to your cocktail ingredients and stir to perfection. Strain your cocktail into the glass that is sitting on the scale. Record the weight. Subtract the weight of the cocktail without ice from the weight of the cocktail that has been stirred: This will be the amount of water you'll need, per cocktail. Treat water as your final ingredient, and scale it up alongside everything else. My pre-stirred Manhattan weighed 78 grams. After stirring and straining it weighed 118 grams, meaning 40 grams of water was added in the form of melted ice (water makes up approximately a third of any given cocktail, so use good ice!). So, if I'm making a Manhattan for 6, I should use: 312 grams of rye (or 12 ounces), 156 grams of sweet vermouth (or 6 ounces), 240 grams of water (just short of 9 ounces) and 24 dashes of bitters. This mixture can be bottled, buried in ice (or better, thrown in a freezer) and then poured into chilled glasses and garnished as a complete cocktail. 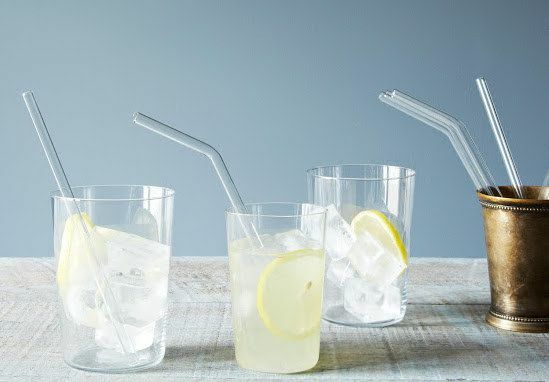 This works best with spirit-only cocktails (think Negronis, Boulevardiers, Manhattans) since cocktails that have fruit juice require shaking (negating the advantage of adding water beforehand) and can’t be put in a freezer. (They’ll turn to slush…which is great if you want a whiskey sour slushie!) So the next time you get invited to a friend’s house for dinner, instead of bringing yet another bottle of Cava, why don’t you treat them to a bottle of a perfectly mixed cocktail? 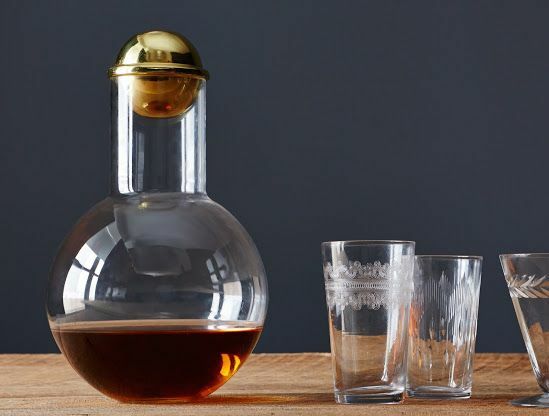 Need something to hold your perfectly-batched cocktails? Head to Provisions -- we have just the thing. Why would grams be more accurate! I'm not sure my method is one purists will agree with, but I keep my rye and my vermouth in the refrigerator. 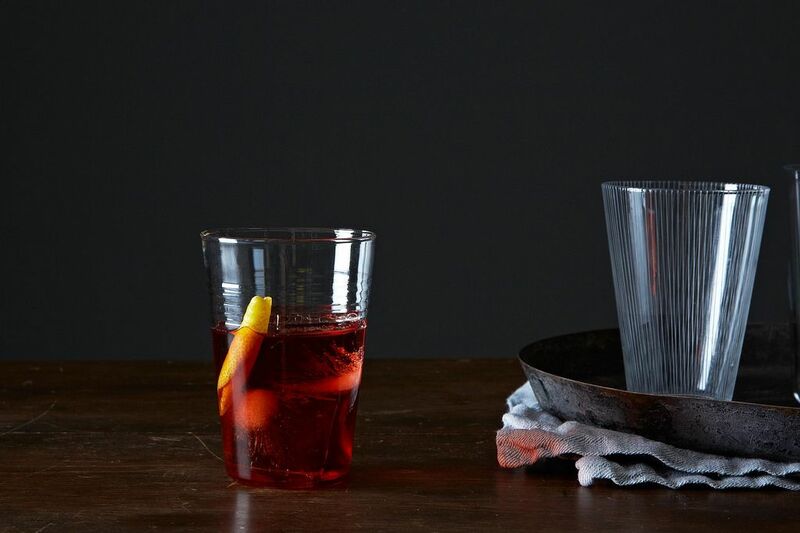 I make the Manhattan from those cold ingredients and then add three cubes of ice made from this tray: http://amzn.to/1n0e70A. Add bitters, stir briefly and then enjoy. Usually, by the time I finish the drink about half the ice has melted. Since each cube represents roughly an ounce of water, I guess that means I've diluted with about 1.5 ounces of water.